Comparison of backlink indexing services – Automated ways to help backlinks get indexed. I have been experimenting with a couple of software/services to help index backlinks in the past 4-5 months or so. At first I was using them mostly to help index articles from article service sites that were not getting indexed that I submitted to using AMR or that I got as trackbacks to my sites when using UAW/AR. I also very recently started using them for web 2.0s now that I started using them again in a linkwheel type method that I previewed in my May income report. These profile links were all done with sick submitter. I am personally not sure if profile links are all that useful for rankings nowadays which was one of the ideas behind this test… then I decided to try an indexing comparison test at the same time since I still feel indexing tools/services can be useful for article submissions and/or web 2.0s. So this article is conclusion of this indexing test. I tested both profile links and web 2.0s that I randomly spread between links for backlink energizer, nuclear link indexer, backlinkindexer and another list that I submitted a few times to a large list of PLIGG sites using sick submitter once again. For those who do not know, pligg is a social platform that is often used for comments the way wordpress is used for normal blogs. After creating these links, I waited 2 weeks before sending them to indexing services, I wanted to make sure to remove the ones that google naturally found. I sent the nonindexed links about 2-3 weeks ago to the four below methods and they have been completed by their respective services for around a week now to make sure they had time to get indexed. I tested indexing with scrapebox. Sent 45 links to one of my backlink energizer network. For those not too sure about this wordpress plugin and how it works, basically you make it send scraped content it pulls from RSS feeds that you assign to many websites (web 2.0 and/or domains you want to use for this). It will add some of your links at the bottom of the posts. I made it post at about 3 links per day with 3 posts (so 9 links a day), personally I think this is a pretty good quality network that I built, they are all web 2.0s that are 7-9 months old and a few contain some backlinks. I also have 3-4 domains that I quit for ranking because the keywords were not too good and not worth the effort but these domains probably have 30-50 backlinks, some of which are from ezine articles and some other high PR domains. I a few of these domains are PR1. Another service is nuclear link indexer which I took 1000 links for $10. A great thing about this service beyond the other ones is that it can check the links that actually still contain your backlinks (if you do profile links or article links with AMR, you will lose many links in the first weeks as website owners delete your article/profiles). Of course, I usually do the check with scrapebox but this can save you some time and be a great asset if you do not own scrapebox. 175 links sent to nuclear indexer, shown as 30% indexed. So, ~50 links indexed out of 175. I took the $15/month package of backlink indexer which submits 50 links a day for 1500 links a month or so. What I like about this service compared to nuclear link indexer is after a few days I can easily re-add the non indexed links for another run ( I did not do this for these results). 98 indexed out of 200. Using the bookmark feature of sick submitter, submitting mostly to 500 pligg sites of Pr1+. Sick submitter is about $20/month and you need to scrape your own list of pligg sites (very easy to do with scrapebox) or buy it off someone off their forums. I did about 3 bookmarking runs on my list of 500 “PLIGG” bookmarking sites. Out of 529 links, 137 became indexed. So based on the indexing information, I would say my Backlink energizer network and the backlink indexer service come on top in terms of % indexing. However, when you consider that I’m using the basic backlink indexer package ($15 per month for 50 links per day) I clearly see that backlink indexer comes out ahead since after 3-4 days I can re-put the links that were not indexed in large quantities. Nuclear indexer is pretty good but unless you are doing massive quantities of links, the 1000 link/month package does not feel as worthwhile since backlink energizer will process them quickly as you do them. I don’t do 1000 in one day, usually I have a hundred link here, another hundred another day etc… So I much prefer the way backlink indexer has things setup. Since I currently have my sick submitter subscription while I’m testing profile links, I definitely think PLIGG sites are worth a shot, especially for mass bookmarking and they do seem to work. Personally, I would go with backlink indexer over the other ones if I had to choose only one. However in the future since I already have backlink energizer setup and my pligg sites ready I’ll use both of those too. This is a great run down for these services… I currently am using BI and it does work. Like your test, I normally get less than half indexed. You state you wait a few days until you check to see if your links are indexed from BI, is that your rule of thumb? I emailed the owner asking how long does it take to begin to check indexing and he gave me 7-17 days. So I was just curious on how long you wait normally. Also, for SB, what proxy service do you use for proxies to check indexing? I wait a few days because things are never instant in SEO, these results were after a week + but most of them were indexed 4-5 days after being sent, it barely went up for the final count. I use squid proxies for my private proxies, I bought the package of 10. It’s my affiliate link if you want to use it and use coupon “sickmarketing” for 20% off. I tried it a bit, at least the free version and the results were not as good. Alex i have a question regarding the VPS , did you installed by yourself the Windows , or they did it for you?…i tried to installed it but getting errors, and it taking ages for their support to answer after each mail…. they should install it for you, submit a ticket about that. If it was not done within the first hour like it was for me. Just wondering – why not simply scrapebox blast the links (only tier 1 and further away links)? shouldn’t that be equally effective or better since it does not only help with indexing but with link juice too? That’s something else I’m trying now, but it can take a lot of time to build an auto approve list. I’ve been having great success with BacklinksIndexer as well. Was using BLE but because Backlinksindexer is relatively cheap and automated it’s my indexing mule. I use scrapebox as well Stephen, but I reserve blasting those lists for my actual web 2.0s versus the thousands of forum profiles, which can go down at any moment – rather build up the web 2.0s and index the forum ones and go from there. Kinda need to do it all. Linklicious is mentioned a lot but it’s very weak to the alternatives. Oh ya you bring a good point, I have started using scrape box blasting mostly for my web 2.0s or at least articles from directories I trust… Ezine, go articles etc.. Not sure how effective that is yet, it’s all for my newer sites and it’s a slow process that will take another motnh or 2 before I see results I think :(. What do you mean by “blasting” using SB? What are you blasting to? I do have SB but not sure what you are using it for here. I would not worry about it in your case but one of the main uses of scrapebox is you can use it to spam blog comments with linkbacks to your site. Some people use those blog comments to link back to stuff they want to index. Ideally you do this with a list of blogs that auto approve your comments. i’m a little confused what these backlinking index services do.I assume they’re to get the multiple articles you submit via AMR to be seen and recognized by search engines, but how do you trace down every single link that backs up your free articles, web 2.0s and blog? with AMR you can search for “livelinks” (look at the instructions from the AMR creator to see how to do that). With articles/web 2.0s I just keep track of them manually in a notepad file. And yes, ultimately they are there to help search engines notice your links that they did not index yet. Thanks for the review Alex, you might want to try nuclear link crawler as well, you can upload 5,000 urls / day for free, although it doesn’t guarantee index but this will save you a lot of trouble getting your links crawl. I’ll probably give it a try. is there any way to collect the urls of the backlinks made through using AR? only if the blogs it sends articles to send trackbacks back to yours. You can then collect some links and try to index them. Do you have other alternative for SB in order to check indexed links? I don’t use SB so I think it isn’t worth buying it just for the Index checker feature. I checked the index checker from Indexbear but I was getting errors from using it with proxies. Before I had SB I would just do it manually, by doing a phrase search of either the url or usually a sentence unique to your article. So you search google for: “unique sentence in your url that is nowhere else” that way if it pops that means your article is indexed. Gathering livelinks works perfectly for me, but when its open up in MS Excel all info is messed up…I mean all info is in one table and there is no order what so ever. Im using MS Excel 2010. Its getting so annoying for me…i already try to reinstall both AMR and even Excel, but still I do not get proper livelink raport. Maybe you can help me with that? I only export them in .txt, never worked with csv for this sorry. when you said you worked around 40 hours per week in your first months, what you actually did all this time? More keyword research, tweaking my websites, tweaking the ad placement… Thinking of new backlinks I could test, how to test them, try them out, implement on my other websites… Look at other things besides adsense such as CPA offers etc. Sometimes I would spin articles, those usually took a good half hour or more. Alex would be great to hear what are you giving more to your worker,what you trust him to do for you? what you dont trust him to do for you etc…and what basically most of his work including? Simple, I trust him to do everything besides keyword research /competition analysis. He has access to my wordpress logins and most of my backlink network info/software (its on the vps). do you have experience with “build my rank” service? i heard some good things about it, and because some of my articles are not getting to much backlinks from some reason i’m considering using this also…would be great to hear your thoughts about this service, or any other service that helped you in the rankings.. I used it for a while, it’s similar to postrunner which is why I don’t really recommend it since most people probably have their TKA subscription. Either way, ya I did see some medium results using it, I just don’t like paying a high fee (especially if you need more then 5 domains I think) and unique articles all the time. I haven’t checked but with the latest google update a lot of the blogs went to PR0-1 too, which is quite normal considering they must have so many blog posts on them linking out to low quality sites… However I tried it a few times and I always saw some slight ranking increases with 5-10 articles for a keyword. If you end up using it let me know your results :). sure! thanks a lot for the information! Hey Alex when working with UAW on old site, how many daily submissions are you doing on each article? 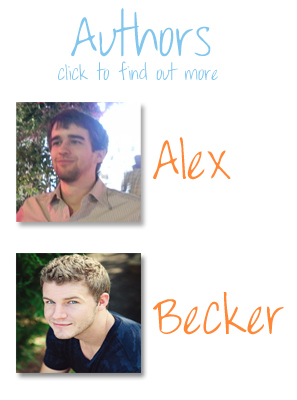 Alex , does all your sites mostly make the income with adsense? didnt you think about trying cpa because of the bigger payment? how much daily visitors you get to get your income? what your thoughts about that? This might sound really basic, but what exactly are you submitting the BI & BLE etc. Is it your own URL or pages posts or known backlink? If the latest how do you find and extract them for submission? Article marketing robot can give you the links, UAW also a bit. Article ranks sometimes was doing it in the past with pingbacks from wordpress to wordpress blogs but for some reason that seems to happen less often now. Is it enough if i only use UAW + BI? Also the SB for checking. Hey, do you check if a url is indexed by Googling “site:url” ? I sometimes try just using “url” but most of the time I just pick a group of words in the article and do a google search for “group of words from my article” and if it’s indexed it will show up first. Hi Alex, this might sound stupid question. But I hope you can answer it as well. How did you know that your backlinks is indexed by search engine especially google? do a phrase search for a string of words you left in an article, “my unique words only in my article”. Or check the url’s using scrapebox if you have it. I am very anxious to use Backlinks Indexer. But I have one question. How do I extract a list of urls of all the posts and pages on my WordPress websites? Cool post gents, Thanks for the props to Energizer. Was a little baffled by the ultimate conclusion to be honest but – hey what ever works for ya. Some stuff to ponder that wasnt added into the conclusion it appears. Interesting to note that BL Indexer Service uses almost identically – the same methodology we developed with Energizer as – when you find some of their indexation work and sites – you see [ as of last year anyways ] an almost identical content style/format and links added to the content. I think theyve decided to add in a bunch more social sites that the main web 2 platforms can be linked out to – plus Im sure they have a little of their own secret sauce. Additionally – one of the features you liked about Backlinks Indexer is – the ability to re run the un indexed links thru the system. Backlink Energizer also has this function – totally hands free. Check a button and it will recycle the links back thru for you – until you make it stop. You mildly touched on another great point – but for a different reason. Your Energizer Web 2 and SHWP blog network is now … after time – kinda good and has PR! You now have aged sites and domains with links pointing to them and they may even be getting PR – they are stuffed full of mass amounts of high end content – most often… and are getting crawled daily and have some authority too. Anothe thing that tends to happens to the sites that Energizer posts to is – other people pick up the rss feeds and so do aggregators and they get even more natural backlinks. After a bit you can remove the good web 2 sites and put fresh web 2’s in their place and start the process over. You cant do that with other indexing “services” you are essentially paying them to build out a network that you could be leveraging yourself later on in your IM career. So your investment in link indexing doest get MAX R.O.I. or improved ROI like it can by having your own network. IMHO. Again another MAJOR difference is the costs associated long term with “services” mthly fee model. Short term ease and convenience – but longer term lack of ROI and much much higher out of pocket expense. A single Energizer install can currently process thru 120 links per day – configured correctly and with care – and then can yield solid results in 3-4 weeks. With the current Energizer license model of unlimited personal use installations you can for a FRACTION of the ongoing quarterly costs of Backlinks Indexer process far more links per day. Most of my best clients are building 1000 links per DAY. Some 10x that. BL Indexer Service would cost a FORTUNE for a marketer with multiple sites and multiple large link building campaigns – some making 1000 links a day per site. Imagine if you made 10 energizer installs to hammer all your primary link indexinf needs – then made a handful more that just made links back to the places the primary 10 energizers post to. Then you took all the sites your overall energizer sites post to and scrapebox linked all of those web 2 and shwp urls and put all of these web 2 sites and shwp sites thru linkliscious FREE and NLI free NLCrawler FREE and every other FREE indexing and crawling tool for 6 months? Sadly with other “services” you have no control over such networks and setups – you just get to exchange $$$ for < 50% indexation and when its all done – a little larger hole in your wallet that was your profit. 2 schools of thought – no pain no gain. Harder to setup up front – but better rewards down the line. Thanks for your comment and you touch on a lot of very good points. I will probably do a follow up to this review after I do a month of solid backlinking which will provide a lot of links to test out. As you mention, my energizer setup is definitely aging and becoming stronger (though I have not been comparing things as well as during this test) but at first glance things seem to be as strong or stronger then in the past. Yes but I never felt it really helped my rankings. For the monthly cost I was getting much better results with private networks or tools like AMR/BMD. Thank you guys for the reviews. I will still wait for more comments about this tool called BacklinksIndexer. I feel i am in the middle of my two personalities telling me YES and NO 🙂 i will wait for more post here to until i got the exact answers that i want. THANK YOU GUYS! I think you can set up a control group for your analysis , just let the google crawl it on its own. And I have read this test http://www.thefastlaneforum.com/web-businesses-internet-marketing/36319-backlink-indexing-case-study.html , kinda test like yours. I am interested at Bookmarking Demon , but I also found backlink energizer / Backlink Indexer are also useful, both of your tests had give a decent results. Would please tell me the difference between the Bookmarking Demon and the backlink energizer ? Any clue will be appreciated! Well BMD is also used for ranking your websites or at the very least, for a tier 2 linking (social bookmarks to articles/guest posts linking to your website). 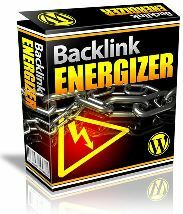 Backlink energizer is purely to help your links get indexed by Google by displaying your backlinks on random posts that get crawled by Google. Either way, both work for getting backlinks crawled/indexed. Backlink energizer takes a bit of time to setup though in terms of you want some websites that have some age/backlinks to them.. so that power carries on the links you want indexed. Read your article and reply, I think if i want to optimize a website, need to spend more time on searching more concerned articles, and then test it by ourselves. Just have a question, now google is still like the website using blacklinks? nice tool, although when Matt talked about getting rid of the “bad” backlinks I checked backlinks on each of the leading explorers (Majestic, Moz’s Open Site Explorer, ahref…) and every time I found few new ones. even a week ago SheerSEO launched their explorer (http://www.sheerexplorer.com) and I found new backlinks I wasn’t aware of.